Don’t miss out on this opportunity to win one of Dell Outlet’s high-end laptops; the Inspiron 15R-5520! Whether you are into music, films, photography or general PC usage this laptop is a fantastic prize for any PC lover! To enter into this competition all you have to do is answer the simple question below. In addition, you have the opportunity to opt-in to receiving Dell Outlet's e-newsletter, which is packed with updates on system availability, and occasional special offers! Don’t worry; you can opt-out of this at any time! Dell Outlet is a division of Dell Products, selling refurbished computer equipment which is limited in quantity. This is product, which has been returned to Dell for a variety of reasons including cancellations and specifications changes. 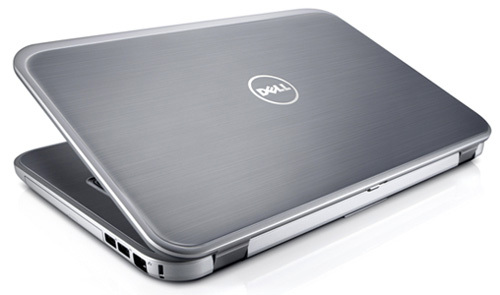 All products have been professionally tested and repackaged to Dell factory standards and come with a consumer package. ©2011 Dell Products Dell, the Dell logo, Dimension and Inspiron are registered trademarks or trademarks of Dell Products. Dell disclaims proprietary interest in the trademarks or trade names of other entities used to refer to them or their products. Microsoft, MS and Windows are registered trademarks of Microsoft Corporation. Intel, the Intel Inside logo, Intel Centrino, the Intel Centrino logo, Pentium, Intel Xeon and Celeron are trademarks or registered trademarks of Intel Corporation or its subsidiaries in the United States and other countries. Minimum specifications: Intel Core i3-2370M (2.40GHz, 3MB cache, Dual Core), Genuine Windows 7 Home Premium,	4 GB DDR3 Dual Channel 1600MHz SDRAM Memory (1 DIMM), 500GB Serial ATA Hard Drive (5400RPM), 8X DVD+/-RW Drive, 15.6 inch High Definition LED Display (1366 x 768) with TrueLife. In the event that the prizes offered are unavailable due to circumstances beyond our control, we reserve the right to offer alternative prizes of equal or greater value. Competitions are open to residents in the UK, who are over 18 years of age. Competitions are not open to employees of HEXUS and their various affiliates, agencies, suppliers, sponsors and members of employees' immediate families. The prize is provided by Dell Products, Dell House, The Boulevard, Cain Road, Bracknell, Berkshire, RG12 1LF. Come on, new laptop is needed! :D.
Hope I win as my laptop's starting to have issues lol.